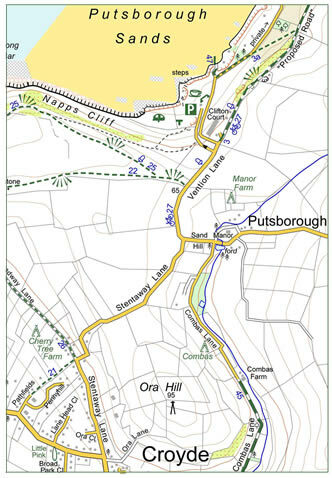 Detailed and specially drawn maps for walkers and cyclists. All maps are the same handy small size of 500x350 (folded 125x175). Backed, most sides are landscape, some are portrait. Content – packed with features, facilities and information. Convenience – small, easily foldable, light: 22g, water resistant paper. Clarity – 5 colour, use of symbols, drawn with user in mind. 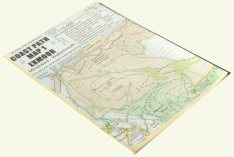 'best maps for walking I have ever come across, the detail is just incredible and adds so much to the pleasure of an outing' ir. 'Your maps are brilliant. So much so it was hard to stop walking' wh. 'The maps made our holiday. We found places we never imagined' bh. ‘Can’t tell you how much I enjoy them in the knowledge that I am far less likely to get lost and I don’t even need my glasses’ sc. ‘Made a difference to our day’ jb. ‘Survived 2 days of continuous rain’ sl. ‘It’s a great read as well as a great map’ ts. ‘If only you could extend them nationwide I’d buy the lot! rv. ‘Towards Crow Point the wind tore it out of my hands and dropped in the sea. Luckily the waves brought it back to shore. Back at the hotel I rinsed it and laid it on a towel to dry. Incredible! No damage’ ac. If you email an address, maps can be sent with an invoice. Click to move directly to find range of titles. With no work in the fine summer months of 02-05 Mike explored Devon and Cornwall by bike. On the bars were redrawn versions of 1946 OS one inch maps, on which were recorded landscape, road detail, facilities and places to visit. 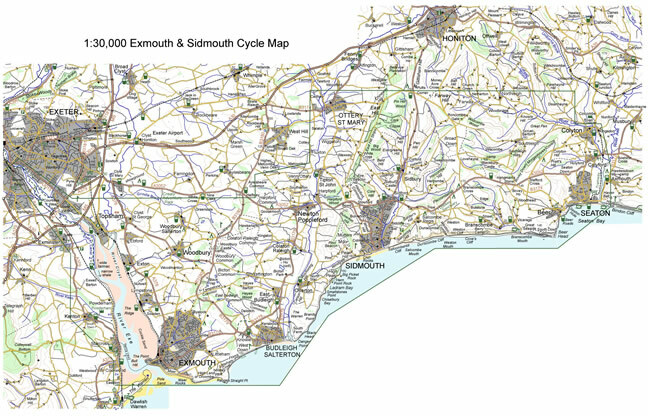 In Oct 05 these became 1:100,000 Devon and Cornwall Cycle and Leisure Maps, described as ‘the information the cyclist hopes for without going off the edge of the map’. Orienteering for many years as a competitor (planned British champs 2000) and map maker there was the idea that the software could produce specially drawn maps with appeal for walkers and cyclists. A view reinforced when Foot and Mouth in 2001 stopped orienteering. 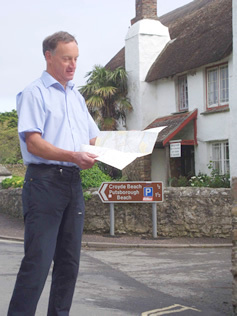 From 06 involvement with local paths and their promotion lead to walking maps of Croyde and Mortehoe. 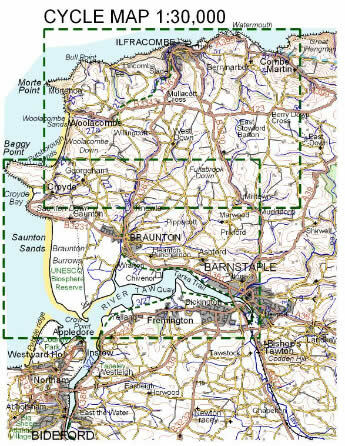 The decision was that a small map, half the size of the Devon and Cornwall ones, would work well and be cost effective. The area was small so bigger symbols and text were used (eyesight of walkers variable!). Surprised at the popularity and enjoying the fun of researching and having to go everywhere has led to a stream of other titles. In 2014 it was decided to allocate a number to each map, shown (08). It is hoped this will help as several places now appear on more than one map. Going WEST on the back: Lynton Lynmouth Alternative with Hunters Inn (54) (ie back of Combe Martin map). Going NORTH on the back: Dartmouth, Dittisham & Coast to Brixham (26). The 5 colour, backed, maps are 500 x 350 at a scale of 1:12,500 with contours at 10m. All rights of way and access land are shown, it is generous with place names and village plans are also included. Geology, ecology and history are explained. Though primarily walking maps, they are of use to cyclists and horse riders. They are based on 1894 OS maps and detailed surveys. Minehead to Watermouth. Includes Porlock, Lynmouth, Combe Martin. Watermouth to Westward Ho! Includes Ilfracombe, Woolacombe, Croyde, Braunton, Barnstaple, Bideford and Appledore. Coast Path Map 3 Wild West Devon 978-0-9559005-5-6 publ.06.09 is now discontinued. 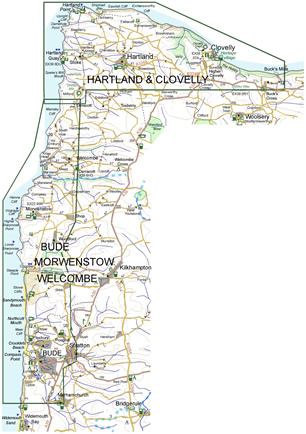 The two maps – Hartland & Clovelly and Bude Morwenstow Welcombe – cover the area in more detail and are more up to date. 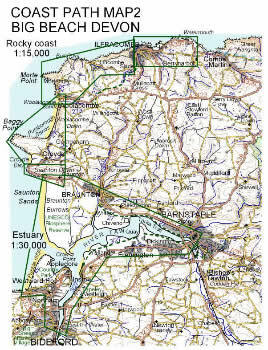 Maps cover the coastal zone, about 1km wide allowing return inland routes, with about three panels on each side. Standard small water resistant maps weighing 22g. 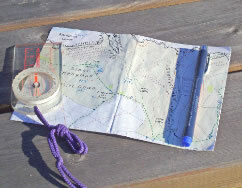 They are detailed, taking much of the coastal information that is on the walking maps above. The scale is 1:15,000 (less detail needed for Taw Torridge estuary so this is 1:30,000) and village/town centre plans are at 1:7,500. Contours are at 10m. All paths are shown and the coast path is indicated by the acorn symbol. 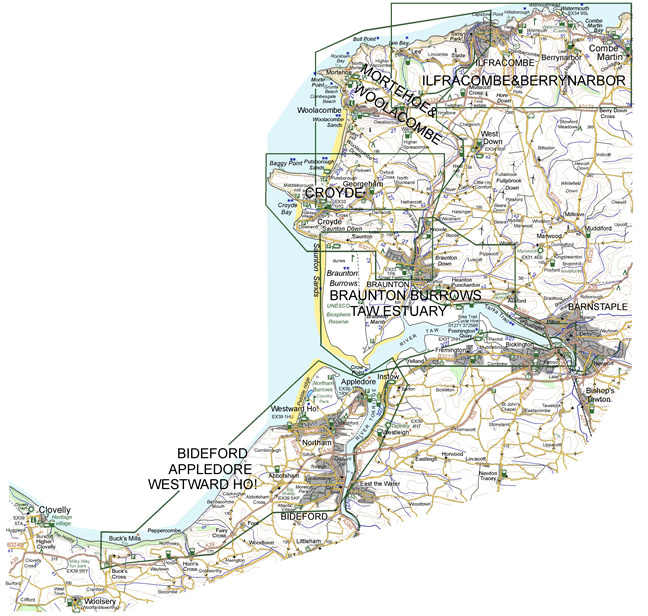 Map covers Combe Martin to Bideford, including Woolacombe, Croyde and Barnstaple. 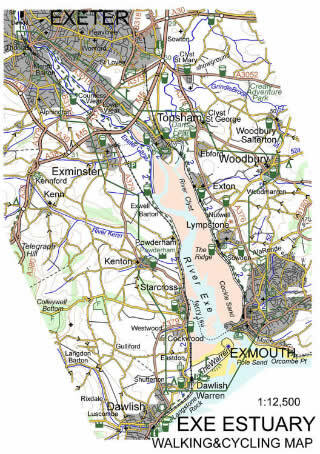 Map covers Exe estuary from Exeter to Exmouth as well as Budleigh Salterton, Otterton, Sidmouth, Ottery St Mary, Branscombe and Seaton. 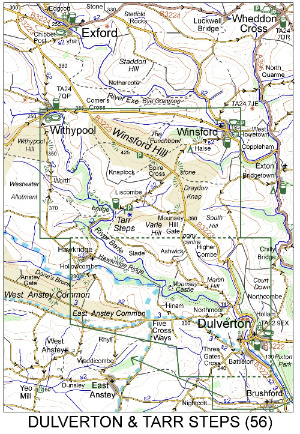 Map covers Lower Dart from Buckfastleigh to Dartmouth as well as villages either side, including Staverton, Broadhempston, Ipplepen, Stoke Gabriel, Marldon, Harbertonford, Blackawton, Slapton and Stoke Fleming. Map covers area from Modbury to Start Point, centred on Kingsbridge. These 1:30,000 maps are 5 colour, backed, and standard size. The scale allows all roads to be clearly shown – graded for how busy they are – and also information about off road possibilities. Contours are 10m and steep hills indicated. Map is based on data from 12,500 walking maps. Comments and facilities of use for cyclists are included, as well as some plans at 1:7,500. 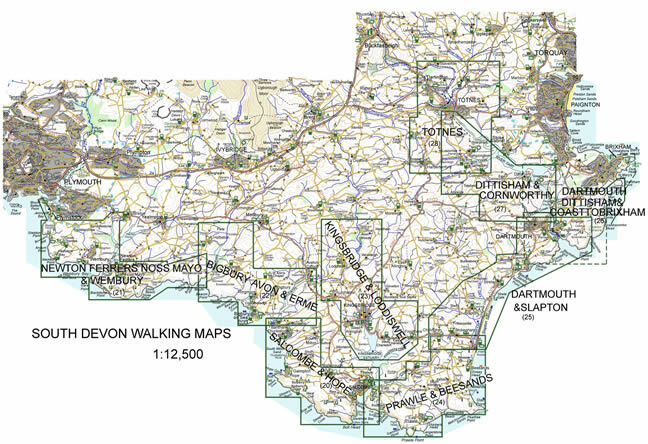 See also above: Exe Estuary Walking & Cycling Map (39) 1:12,500. 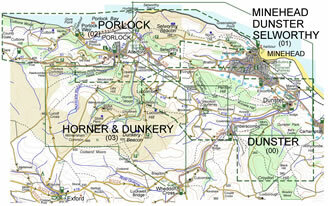 Map covers Ilfracombe to Plymouth in four panels, north to south. Standard size but both sides are portrait. 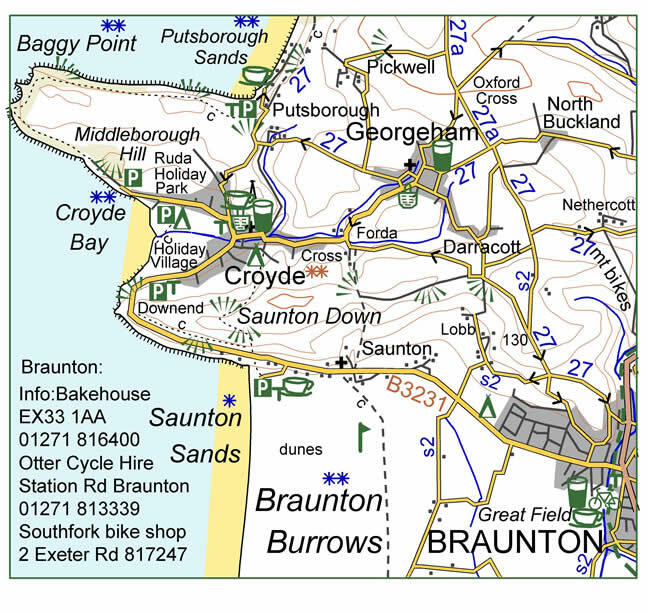 1:60,000 map is enlarged from and based on North and South Devon maps making it clearer especially for off road sections with space for comments about the routes. Plans are included of larger settlements and information relevant to cyclists. The width of the panels covers the variations and enables exploration on either side or choice of an alternative route if returning through the area. 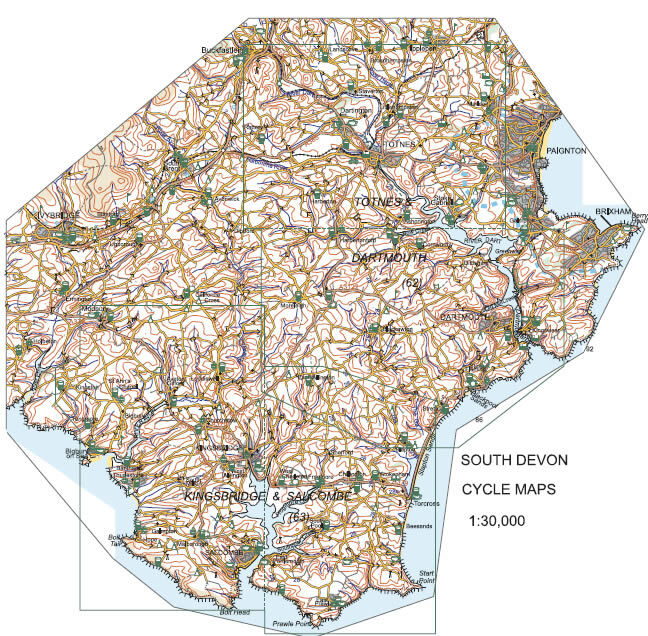 These maps are rearrangements and updates of the 05 Devon and Cornwall maps which were a follow on from a Herefordshire map which the CTC put top of the list of UK cycle maps and described as ‘favourite map’ by Exeter cartographers. Cycling Plus review February 2006: “The result is fantastic: maps at an ideal scale of 1:100,000 that are lovely to look at yet truly practical”. 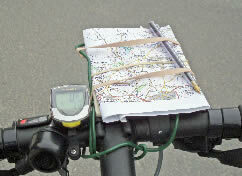 Comment of a user: “Just been on Bristol -> Penzance cycle ride – found your maps brilliant.” np. The size is now the handy standard 500x350 on backed, water resistant paper. Maps show pretty much everything a cyclist would hope to find on a map: all roads, settlements, rivers and 30m contours and there are also town plans. The map is packed full of useful information such as shops, pubs, cafes, tourist sites and cycle facilities. It is called a ‘cycle map’ because it is at a useful scale and it has cycle routes, shops and facilities. And the research was done by bike! Handy to have in the car as well.